We love these beautifully detailed, handcrafted wooden ornaments from Timber Green Woods. The family-owned company is based in Wisconsin and prides itself on sustainable practices using wood from the family’s farm. 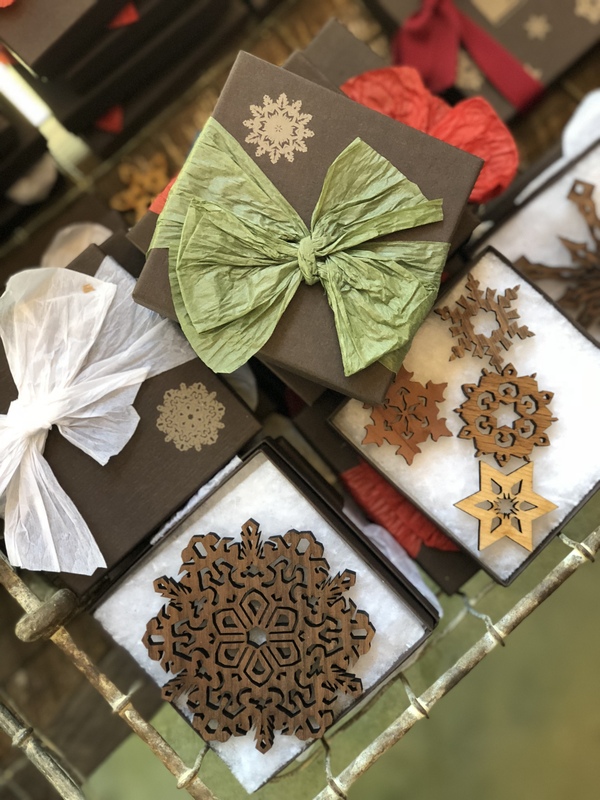 Each ornament is beautifully packaged in USA-made recycled paper boxes. What a perfect, gift and conversation starter! We are highly selective about the products we keep in our garden shop so you never have to worry about gifting a soap that leaves your hands dry or a candle that is over-powering. Moon Valley Organics makes great smelling hand soaps from their own organic farm. Wrapped in a beautiful tissue and tied with a bow, this would make a great, simple gift for all the hosts you will be visiting this year. Learn more about Moon Valley Organics here. Our Rosy Rings travel candles are great to keep on-hand for a quick gift in a pinch and are under $10. We love the seasonal scents, Red Current and Cranberry and Midnight Woods. SallyeAnder Soaps are a tried and true favorite of our buyer. Family owned and operated since 1982, SalleyAnder hand-makes hypoallergenic soaps that smell great and are free of artificial ingredients and chemicals. Click here to learn more about SallyeAnder. Move aside, Poinsettias (although we have those too! ), this long-blooming houseplant is sure to brighten your host’s home far beyond the New Year. 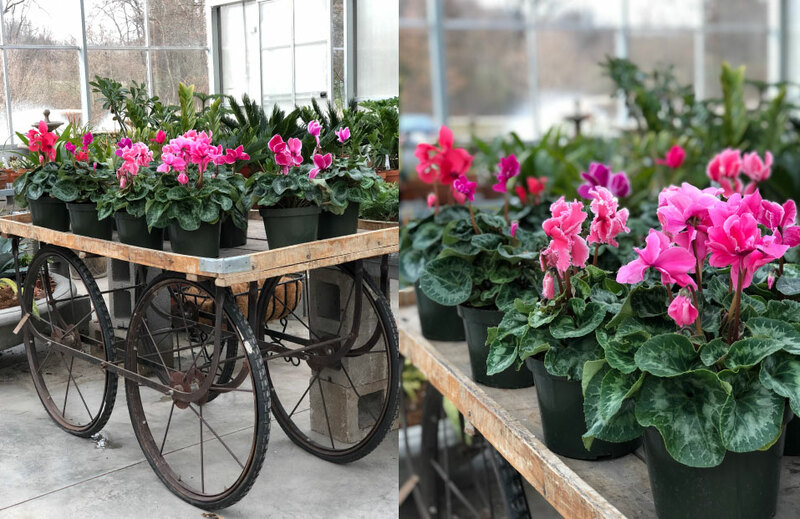 Cyclamen are easy to care for, winter flowering houseplants and are said to symbolize sincerity. Pick up a few of these and drop them off with family or neighbors for a quick gift that keeps on giving. Remember, cyclamen like to be watered from the bottom, so fill their tray with water and let the plant absorb it rather than wetting the leaves from above. 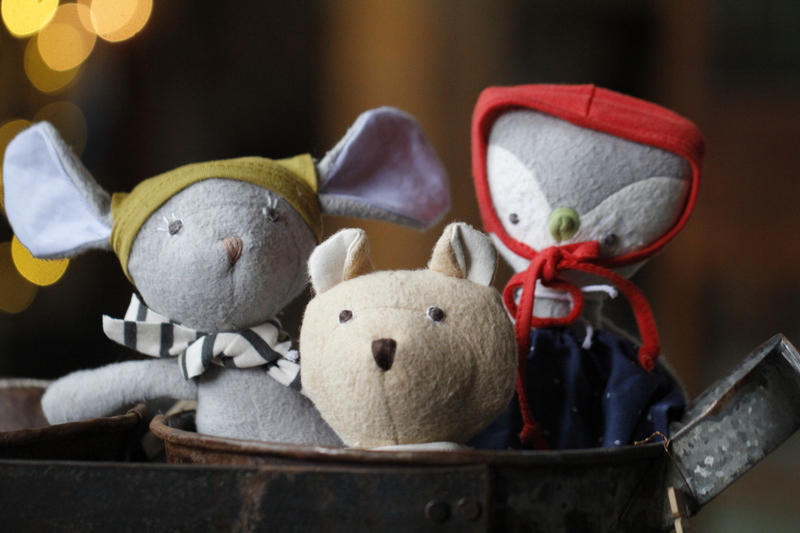 These adorable handmade woodland animals are the perfect gift for the child who has it all. Each doll is made from organic cotton and can be dressed in different outfits and accessories. Start a tradition with a new doll each year and shortly you will have a cute-as-can-be collection. If you know a child that shares your love for dirt, pick up one of these unique children’s books that is as educational as it is fun to read. 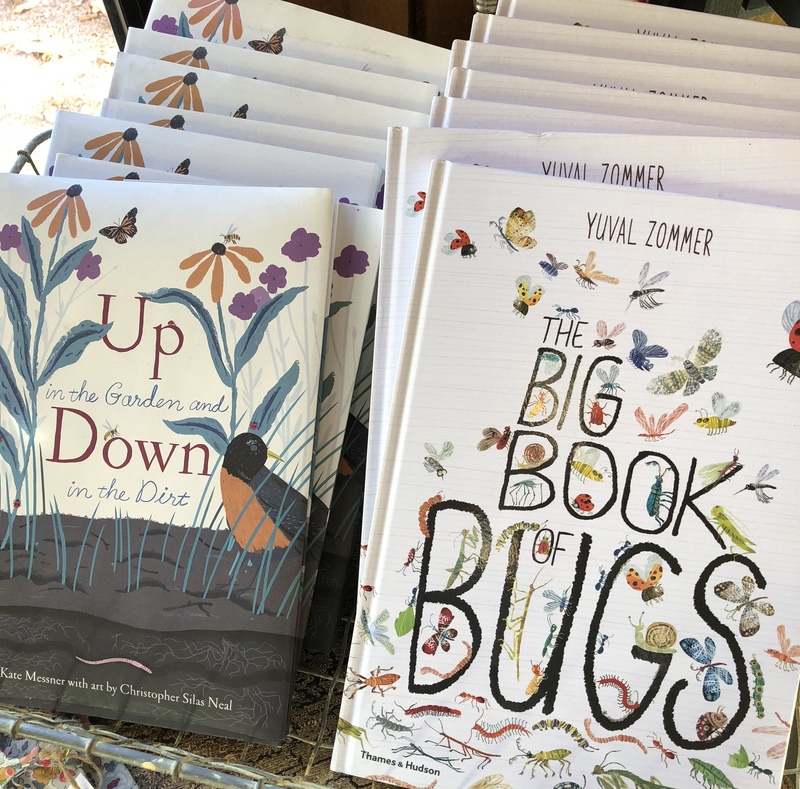 Up in the Garden and Down in the Dirt by Kate Messner explores the hidden wonders of the garden and the dirt beneath it. Yuval Zommer’s The Big Book of Bugs is packed full of creepy, crawly fun facts about bugs. The illustrations and interesting layout are sure to keep any child on your list engrossed page-after-page. Now that we have given you some ideas for the hosts and children on your list, swing by and check them off while enjoying some coffee and lunch at Caffe Angelina.